After the two Tests and three-match one-day series, the first match of the three-match T20 series has been played. And in the whole series against the Windies, this is the first time that Bangladesh is under real pressure. The Tigers won the first match of the one-day series after defeating the Caribbean in the Test series. Although the Windies came back in the series after winning the next ODI, Bangladesh won the series by winning the last match comfortably. And to lose the first match of the T20 series, we must say this is a new experience for Bangladesh in this tour. In the hope of getting back to the T20 series, the biggest inspiration for Bangladesh can be the T20 series of the last West Indies tour. After being defeated in the first T20 at St Kitt’s, Bangladesh grabbed T2O trophy against world champions T20 champions by winning the last two matches in Florida. Although the players from Bangladesh camp have been saying this since the beginning of the series. Why not say? If they can beat the West Indies in T20s at overseas, then why not to repeat that at home? Winning the series is very possible for Bangladesh, but the Windies team from Sylhet’s first T20 looks much more dangerous than the West Indies team in Florida. Here, the Caribbeans were busy trying to prove that they are current T20 World Champion. 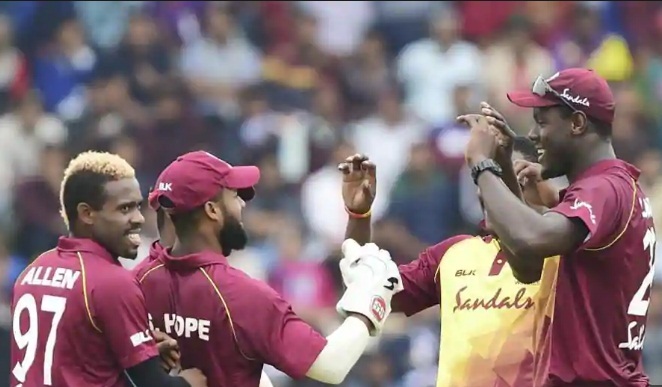 The way Shai Hope, Kemo Paul and Sheldon Cottrell played, you must confess that. Bangladesh was bowled out for just 129 runs and they have been chased down by the Caribbeans in just 10.5 overs. But Bangladesh does not seem to be scared too much. Rather, the mistakes made by being the more courageous in the first T20 team, now they have planned to control the courage and reduce the mistakes. Soumya Sarkar came to the press conference yesterday and said the same. Since the Tigers have been able to find their problems and set the solutions for that, so now it is only the turn of applying those in the field. And it will probably be held the same XI from Sylhet. What happened? I am not getting new posts now. Is there any problem? Really love your blog. web site is actually fastidious and the people are in fact sharing nice thoughts. Special vehicles need particular towing trucks. difficulties with your RSS. I don’t know why I can’t join it. abilities as smartly as with the structure for your blog. In addition, The contents are masterwork. you have performed a wonderful activity on this subject! up the amazing works guys I’ve included you guys to my own blogroll. I just couldn’t go away your site before suggesting that I really enjoyed the standard information an individual provide on your visitors? Hi there to every body, it’s my first go to see of this blog; this web site carries awesome and in fact good stuff in support of visitors. Look complex to far delivered agreeable from you! However, how can we keep in touch? Awesome website you have here but I was wanting to know if you knew of any community forums that cover the same topics discussed here? any suggestions, please let me know. Kudos! are going to a well-known blogger if you happen to are not already. the viewers to visit the site, that’s what this web page is providing. I’m adding this RSS to my email and could look out for much more of your respective exciting content. What’s up to all, how is all, I think every one is getting more from this site, and your views are nice designed for new people. enjoyed account your blog posts. Anyway I’ll be subscribing in your feeds and even I fulfillment you get admission to consistently quickly. which consists of lots of helpful data, thanks for providing such information. if you are not understanding something totally, but this article offers fastidious understanding yet. from other authors and practice something from other websites. My blog is in the very same area of interest as yours and my visitors would certainly benefit from some of the information you present here. info in such an ideal way of writing? I have a presentation subsequent week, and I’m at the look for such information. When I take a look at your website in Safari, it looks fine however, if opening in IE, it’s got some overlapping issues. Hello there, You have done an incredible job. I will definitely digg it and in my view recommend to my friends. I will immediately grasp your rss feed as I can’t in finding your email subscription hyperlink or newsletter service. to tell the reality however I will definitely come back again. I had to ask. Does managing a well-established blog such as yours take a lot of work? lot of your post’s to be just what I’m looking for. can you offer guest writers to write content for yourself? put in writing this site. I really hope to see the same high-grade content by you in the future as well. It’s amazing in favor of me to have a site, which is helpful in favor of my experience. Thankfulness to my father who informed me about this website, this weblog is in fact remarkable. since this point in time i am reading this fantastic informative piece of writing here at my residence. thanx for spending some time to discuss this issue here on your website. After exploring a few of the blog posts on your web site, I seriously appreciate your technique of blogging. initiative in a community in the same niche. Your blog provided us useful information to work on. You have done a marvellous job! I extremely enjoyed the standard information an individual supply for your guests? stuff from. Thank you for posting when you have the opportunity, Guess I will just bookmark this page. Hello Dear, are you in fact visiting this site on a regular basis, if so after that you will definitely take good know-how. now working on, and I’ve been on the look out for such info. great and that i could suppose you are an expert in this subject. this webpage’s post to be updated daily. It includes fastidious stuff. I am truly pleased to glance at this blog posts which consists of plenty of useful data, thanks for providing these kinds of information. is a means you are able to remove me from that service? Thank you! genuinely fine stuff in support of visitors. Howdy! I just want to offer you a huge thumbs up for the great info you have here on this post. to care for to keep it smart. I can’t wait to learn far more from you. needs a lot more attention. I’ll probably be back again to read more, thanks for the information! owners and bloggers made just right content material as you probably did, the internet can be much more helpful than ever before. It’s not my first time to pay a quick visit this web site, i am visiting this web site dailly and obtain nice data from here everyday. The clarity for your submit is simply nice and i can think you’re knowledgeable on this subject. Hi, I do think this is an excellent web site. I stumbledupon it 😉 I may come back yet again since I book marked it. is in fact a fastidious piece of writing, keep it up. When someone writes an article he/she retains the thought of a user in his/her brain that how a user can be aware of it. The article has really peaked my interest. I will take a note of your blog and keep checking for new information about once per week. one is getting more from this site, and your views are good in favor of new visitors. Appreciation to my father who shared with me about this web site, this website is genuinely remarkable. I have fun with, cause I found just what I was having a look for. I must say that you’ve done a awesome job with this. Additionally, the blog loads very fast for me on Opera. came to return the desire?.I’m trying to to find issues to improve my web site!I suppose its adequate to make use of some of your concepts!! Regardless, I’m certainly happy I found it and I’ll be book-marking it and checking back frequently! Fantastic goods from you, man. I have understand your stuff previous to and you are simply too wonderful. what you are saying and the way through which you assert it. webpage contains awesome and genuinely excellent data in favor of visitors. and finally got the courage to go ahead and give you a shout out from Humble Tx! I am rather sure I’ll be informed many new stuff proper right here! Thank you a bunch for sharing this with all people you really recognise what you’re talking approximately! the exact same comment. Perhaps there is a way you can remove me from that service? use web for that purpose, and take the most recent news. Hi there, yup this piece of writing is truly fastidious and I have learned lot of things from it regarding blogging. good to read this website, and I used to visit this web site every day. Great blog right here! Also your site lots up very fast! this impressive informative paragraph here at my home. I know this is off topic but I simply needed to ask. Thank you! Thanks for your marvelous posting! I actually enjoyed reading it, you might be a great author.I will remember to bookmark your blog and definitely will come back in the foreseeable future. understanding more. Thanks for great info I was looking for this information for my mission. page and to this point? I surprised with the analysis you made to make this actual put up incredible. Hi there to all, how is all, I think every one is getting more from this web site, and your views are pleasant in support of new people. can’t wait to take a look when I get home. I’m surprised at how fast your blog loaded on my phone ..
subject however I just wanted to ask. Cheers! across the net. Shame on Google for no longer positioning this put up higher! service. Do you’ve any? Kindly allow me recognize in order that I may subscribe. helped me out loads. I hope to contribute & help other users like its aided me. Hi to every , because I am genuinely keen of reading this web site’s post to be updated regularly. deal of work? I’ve absolutely no expertise in programming however I was hoping to start my own blog in the near future. even as people consider worries that they just don’t know about. entire thing without having side effect , folks could take a signal.
) I may come back once again since I saved as a favorite it. I always emailed this weblog post page to all my associates, for the reason that if like to read it next my contacts will too. realize this. You should continue your writing. I am confident, you have a great readers’ base already! I feel that is one of the so much vital info for me. And i’m glad studying your article. Good site you have got here.. It’s hard to find quality writing like yours nowadays. I’m extremely inspired with your writing skills and also with the layout for your weblog. I read this post completely about the difference of most recent and preceding technologies, it’s remarkable article. obviously like your web site however you need to test the spelling on quite a few of your posts. Every weekend i used to visit this web page, because i want enjoyment, as this this site conations in fact pleasant funny material too. smart. I cant wait to learn much more from you. been discussed for ages. Great stuff, just great! i could think you’re an expert in this subject. Well together with your permission allow me to grasp your RSS feed to keep up to date with drawing close post. every once in a while that isn’t the same outdated rehashed information. Fantastic read! someone to do it for you? Plz answer back as I’m looking to construct my own blog and would like to know where u got this from. site loads up fast! What web host are you the usage of? justification appeared to be on the net the easiest thing to take into account of. You controlled to hit the nail upon the highest and also outlined out the whole thing without having side effect , people can take a signal. I visit everyday some web sites and information sites to read posts, however this web site presents feature based posts. thus I simply use web for that reason, and take the newest information. a few of your posts. Many of them are rife with spelling issues and I in finding it very troublesome to tell the reality on the other hand I’ll surely come again again. on my iphone during lunch break. I enjoy the info you present here and can’t wait to take a look when I get home. website and at the moment this time I am browsing this web page and reading very informative articles or reviews at this time. However think of if you added some great graphics or videos to give your posts more, “pop”! I must say that you’ve done a superb job with this. Also, the blog loads super fast for me on Opera. useful sites online. I’m going to highly recommend this web site! has to be a way you are able to remove me from that service? huge component to other people will miss your fantastic writing because of this problem. What’s up to every body, it’s my first visit of this webpage; this web site includes remarkable and in fact fine stuff for visitors. Good site you’ve got here.. It’s difficult to find high-quality writing like yours nowadays. or if you have to manually code with HTML. I’m starting a blog soon but have no coding knowledge so I wanted to get guidance from someone with experience. nice methods and we are looking to swap techniques with other folks, please shoot me an email if interested. folks think about concerns that they just don’t recognise about. are very short for starters. May you please lengthen them a bit from subsequent time?